Official website of the unofficial Kaljakellunta event! Get your floating snacks from Donkey Grill & Catering! 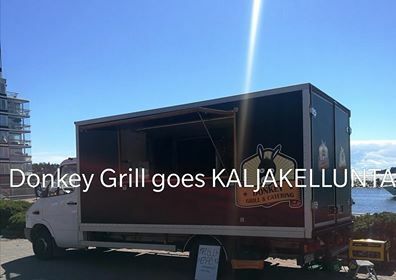 Donkey Grill & Catering is selling delicious food at Tapaninvainio beach on Kaljakellunta-day (28.7.). So make sure you have cash/payment card with you and welcome starting from the late morning!